Windows 8.1 is an operating system developed by Microsoft and represents an improved version of Windows 8. This version was designed to successfully run on tablets as well as laptops and computers and offers a number of improved features to address the issues related to Windows 8. While Windows 8 removed the Start button from the Desktop - which turned out to be an unpopular feature - Windows 8.1 added it back so you can search for files and open programs from the familiar Start button again. The Start screen features large tile sizes so it is easy to spot what you’re looking for. It also enables you to read several most recent emails or see details of an upcoming meeting. The Start screen background can be customized in a much more colorful way than before and you can even use your desktop background. One of the major improvements of Windows 8.1 is that it enables you to skip the Start menu and boot directly to the Desktop if you wish. This is ideal for individuals who do not like using the Start menu very often. Windows 8.1 helps you search for the information you need - depending on what kind of information you are searching for, you will get different suggestions. You may get Wikipedia information as well as photos if you are searching for a person; you will get suggestions when searching for a place, as well, such as direction, reviews, opening hours, including links to the book on OpenTable. If interested in music or if you want to search for a band, you will get videos and music tracks as suggestions, as well. You can swipe through the search view and get more details on what interests you without launching another app, which is a very useful feature. Windows 8.1 enables you to manage Windows Store apps more easily. You can open the Windows Store apps and review various ones at the same time on larger screens by dropping three or more apps side by side. You can also have a desktop program and a Store app opened side by side, which simplifies the work to be done. Improvements of Windows 8.1 are also visible in Internet Explorer, which operates quickly even with multiple tabs set as your homepage. With an enhanced and modern browser like the Internet Explorer 11, you will be able to search faster than ever. 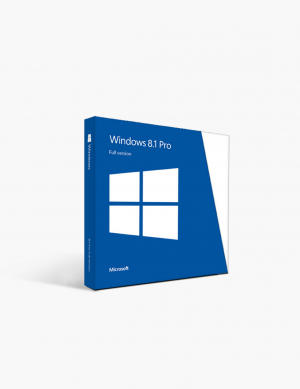 Retaining the best from older versions of the Windows operating systems, but including modernized and improved features, Windows 8.1 represents a step towards the touch and tablet technology. The updated version of Windows includes a series of useful fixes as well as new features designed to provide the best user experience.